If you have a bunch of credit and debit cards in your wallet? are you worried about their loss? No worries things are gonna hassle free with Axis Bank’s newly launched secure+ debit cards. With this you dont have to call each and every bank debit card you have to block each of them. Just call Axis Bank Secure+ customer care and all your linked cards will be deactivated on the same call. So no fear of misuse of your cards. 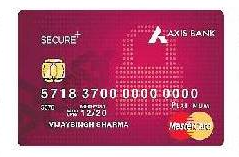 Axis Bank’s secure+ cards are highly secure chip cards. If you loose your wallet along with you flight ticket, axis bank will make arrangements for funds for your hotel stay and flight ticket charges or any other immediate expenses 🙂 isnt it awesome?. Along with Secure plus cards axis bank launched Total Control, a really cool online platform which can even switch off / on your debit cards. 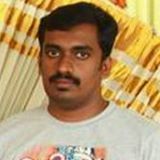 A user can control the shopping and withdrawal limits from the Total Control platform itself. Axis Bank Secure Plus was unveiled to its customers by Bank’s Retail lending and payments section lead Mr. Jayaram Sridharan at an event in Mumbai.